Plot: Seasoned musician Jackson Maine discovers—and falls in love with—struggling artist Ally. She has just about given up on her dream to make it big as a singer—until Jack coaxes her into the spotlight. But even as Ally's career takes off, the personal side of their relationship is breaking down, as Jack fights an ongoing battle with his own internal demons. Went to see it with the wife last night and really enjoyed it surprisingly. Something a bit different to what I’d usually like. Cooper and Lady Gaga are excellent throughout and I wouldn't be surprised to see this on awards lists. Bradley Cooper was standout for me, he did a great job directing it as well. I thought Sam Elliot did a lot with his small part. Lady Gaga is also very good and has an outstanding voice, no doubt. Going to see this tomorrow night with @Kimberley. Looking forward to it. The reviews have mostly been very positive. I had seen the Judy Garland version and the Streisand/Kristofferson version years ago, only have a faded memory of them though. Still, I knew the plot and mainly went looking for good music and good performances. Was not disappointed by those: thought both leads acted their socks off, and the supporting actors too. Went to see it this afternoon. I've never seen any of the earlier versions, but I loved this incarnation. Bradley Cooper does a sterling job as the booze-soaked over-the-hill guy who's had his day. Lady Gaga is wonderful. Went to see it last night. Lady Gaga is obviously getting a lot of praise for her acting, and rightly so. I mean after 5mins I forgot I was watching Lady Gaga, which says it all really. But I thought Bradley Cooper was the stand out here. He's never been better and I hope he wins an Oscar for his part. Very good film. 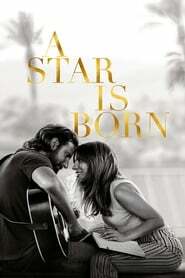 Bradley Cooper's performance deserves an Oscar, surprised by Lady Gaga's too. I thought it was fantastic! The best movie I've seen in a good while. I'm not a particular fan of either Cooper or Lady Gaga, but the acting from both of them was amazing. I loved the music and the roller coaster of emotions.